It’s not a good thing: “Golden Girls” reruns had more viewers than Martha’s relocated show on Hallmark. The new crop of first-run and off-network/cable fare has gotten off to a slow start with the The Nate Berkus Show leading the pack with a 1.2 household Nielsen Overnight rating in its first two days. Challengers was canceled in August 1991, while other new syndicated shows that season were yanked earlier than that. But now, as then, the most important yardstrick for a first-run strip is whether it can hold on or improve on the preceding program’s lead-in and outperforming the year-ago time period average – and Berkus and another new strip (Swift Justice with Nancy Grace) hold a significant advantage over the starts of the failed game shows and magazine programs from the 1990-91 season, which did neither. And keep in mind today’s television landscape is different than it was 20 years ago – but even then, cable and home video choices were eating into broadcasters’ ratings numbers. Despite a 1.2, Sony’s Berkus was up 20% from September 2009’s time period average, with a slight drop-off from its lead-in. CBS’ Nancy Grace averaged a 1.1 two-day rating, even with lead-in and year-ago time period share. The four new off-network or off-cable sitcoms had a rougher go of it. The two-day Nielsen overnight averages of How I Met Your Mother, The New Adventures of Old Christine, Entourage, and Curb Your Enthusiasm all were down from their lead-in and underperformed year-ago time period shares. Of the four, Mother was rated the highest (1.0), while Christine was the lowest (0.6). Yours truly has never seen a weak batch of off-net sitcoms in a fall season than this one – totally pathetic. 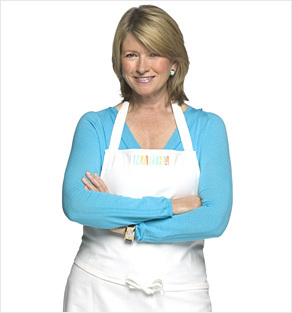 And if you think these numbers are bad, check out Martha Stewart’s – the move of her show from syndication to the Hallmark Channel produced anemic first-day numbers with her show averaged less than 200,000 household and women 25-54 viewers for her original and repeat episode later in the day, far below what repeats of The Golden Girls previously earned at 9 a.m. and what Little House on the Prairie and M*A*S*H earned in the afternoon time periods. Then again, Ms. Stewart’s ratings in syndication were nothing to brag about to begin with (averaged a 0.5 rating during the 2009-10 TV season.) In fact, her entire block of branded programming on Hallmark underperformed. Not all the news was bad. One off-net program that had a better time of it was NBC Universal’s The Real Housewives, whose two-day average was up 65 percent among women 18-49 and up 32 percent in women 25-54 from Sept. 2009 time periods in Local People Meter markets. In New York City on Monday, Housewives showed a 50 percent HH rating increase over what Deal or No Deal did the time period a year ago. Cable, Syndication, Television	CBS Television Distribution, Curb Your Enthusiasm, Deal or No Deal, Dr. Oz, Entourage, Hallmark Channel, How I Met Your Mother, Little House on the Prairie, M*A*S*H, Martha, Nate Berkus, NBC-Owned Stations, Old Christine, Sony Pictures Television, Swift Justice with Nancy Grace, Syndication, The Challengers, The Golden Girls, The Joker’s Wild, The Real Housewives, Tic Tac Dough, Tribune Media, Warner Bros.
LOL! Indeed, the daytime audience is mostly made up of women, but there are several males that have hosted successful daytime TV talk shows – Phil Donahue, Geralado Rivera, Jerry Springer, Montel Williams, Dr. Oz, and Dr. Phil, and others.